A change of season means a change of decor! 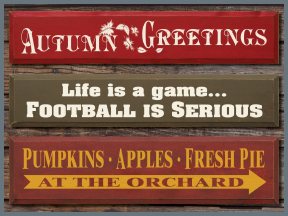 Bring the rich colors of autumn into your home with a fall sign from Sawdust City! With over 40 colors to choose from, your solid wood sign from Sawdust City will look great anywhere!